UNITED NATIONS, August 05, 5:01 /ITAR-TASS/. UN Secretary-General Ban Ki-moon on Monday expressed concern over reports of incidents in the Nagorno-Karabakh conflict zone. The UN press service said the UN chief urged Azerbaijan and Armenia to abstain from violence and observe the ceasefire regime agreement. 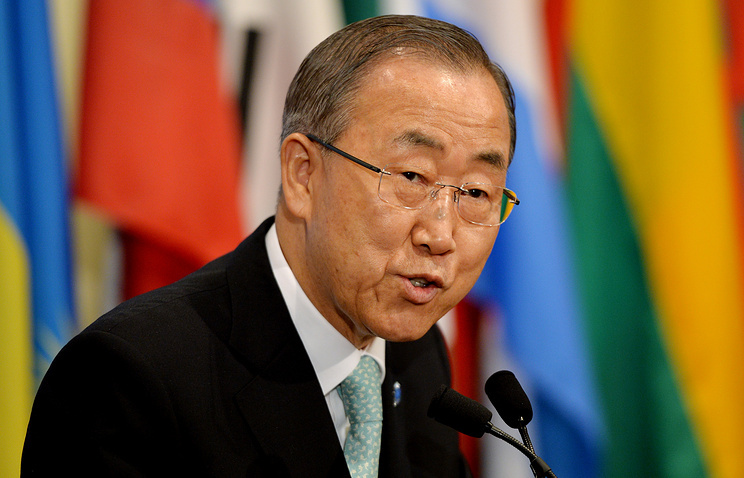 Ban also expressed full support to the efforts taken by the OSCE Minsk Group for the settlement of the situation. “Mr. Ban said he shares the deep concerns expressed by the Co-Chairs of the Organisation for Security and Co-operation in Europe (OSCE) Minsk Group, the group driving efforts to find a peaceful solution to conflict, and other international partners. Mr. Ban “urges all parties to respect the ceasefire agreement, refrain from further violence and commit themselves to immediate de-escalation and continuing dialogue in the pursuit of a rapid and peaceful political solution,” according to the statement. 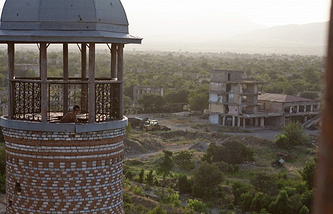 Nagorno-Karabakh, which was an autonomous region during Soviet times, has been at the centre of a dispute between the neighbouring countries since they became independent in the early 1990s. 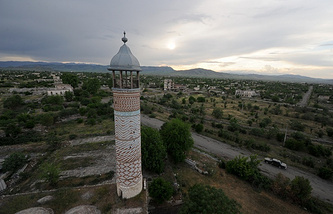 The recent upsurge in tension and violence along the Line of Contact and the Armenian-Azerbaijani border is being described by media reports as the worst flare-up in many years. Aiming to resolve what he described as a “dangerous situation,” Mr. Ban expressed his full support for the efforts by the OSCE and other parties working to resolve the conflict. According to the Azerbaijani Defence Ministry, as a result of worsening of the situation in recent days, 12 Azerbaijani troops have been killed and several injured. There have been no reports on the Armenian casualties, but it became known on Monday that a 25-year-old Armenian soldier was killed in a shootout. Both side have blamed each other for the incidents.